He said: “The Fine Gael led government is one without authority. It is stumbling from one crisis to another – in health, in housing, in homelessness. “They have covered up on the NAMA scandal and they are now playing the public for fools on the Garda/Tusla/McCabe controversy. “Fine Gael is in power only by dint of patronage from Fianna Fáil, and Fianna Fáil is keeping the wreck afloat. “Citizens are scandalised by the arrogance of Enda Kenny and his Cabinet colleagues. The Taoiseach should do the right thing. So should Micheál Martin. He should withdraw his support for the government. “Sinn Féin in government would not tolerate this type of behaviour. “People deserve an election. They deserve to have their say on all of these matters. Sinn Féin President Gerry Adams TD today questioned the Taoiseach about media reports that the HSE drug committee has decided against recommending the Orkambi drug for CF sufferers. The Louth TD described the Taoiseach’s response and correspondence that he received today from the drug company Vertex, as “creating serious confusion and upset for CF sufferers and their families”. Teachta Adams called for urgent clarification from the Minister for Health. “This morning’s media reports that the HSE drug committee has not recommended the use of the drug Orkambi for more than 550 Irish CF sufferers will cause serious concern to those citizens faced with this life threatening condition. “Before Christmas, Oireachtas members heard distressing first-hand accounts of CF sufferers and their families. Orkambi and Kalydeco can save lives. They can dramatically improve the well-being of hundreds of patients. “The HSE’s drug committee has now referred this issue to its executive management team but media speculation also claims that it is unlikely to give the go ahead for an agreement with Vertex. “However, the Taoiseach’s response to me in the Dáil suggests that discussions with Vertex have not closed. “Vertex in its letter to me says that ‘in the last six months, we have put multiple proposals to provide access to Orkambi, including options available in other European countries like Germany and Austria. Our latest proposal – which we have developed with input and direction from the HSE – would provide access to Kalydeco and Orkambi and we believe meets all the criteria set by the HSE’. 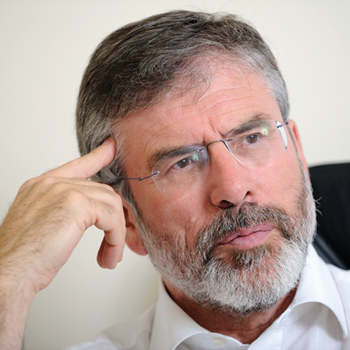 Sinn Féin President Gerry Adams has said there is no possibility of his party propping up a Fine Gael government. Responding to comments on a possible future coalition made by Enda Kenny, the Louth TD said that bolstering the right wing, regressive policies of Fine Gael was now the role of Fianna Fail. “Fine Gael should stop getting into a tizzy on this issue. The Taoiseach should also stop flip-flopping. I would like to help calm Fine Gael down. There is no possibility of Sinn Fein propping up Fine Gael in government, given their disastrous policies. That is the role that Fianna Fáil have taken on. “This partnership of Enda Kenny and Micheal Martin has delivered the highest levels of homelessness in the history of the state; new horror stories emerge out of the health system on a daily basis and we have a government that is not only wholly unprepared for Brexit but has no idea how to prepare. Sinn Féin Leader, Gerry Adams TD, this morning addressed Sinn Féin’s major national policy conference, held to help inform upcoming policy documents on housing, healthcare and childcare. Full speech below. The front pages of our newspapers and almost every radio and tv news and debate have been dominated by speculation about the date of the General Election. This is an obsession of journalists and political insiders. Such speculation is part of the game-playing which has been a substitute for real political debate in this state for too long. It suits some because it distracts from the real issues which are affecting so many families at this time and deepens the disillusionment with politics that is now widespread. The Taoiseach’s refusal to deal with the issue and the obvious discomfiture of Joan Burton exposes this government as a coalition of chaos. Mr. Kenny’s focus is on how many seats Fine Gael will win to ensure his re-election as Taoiseach. 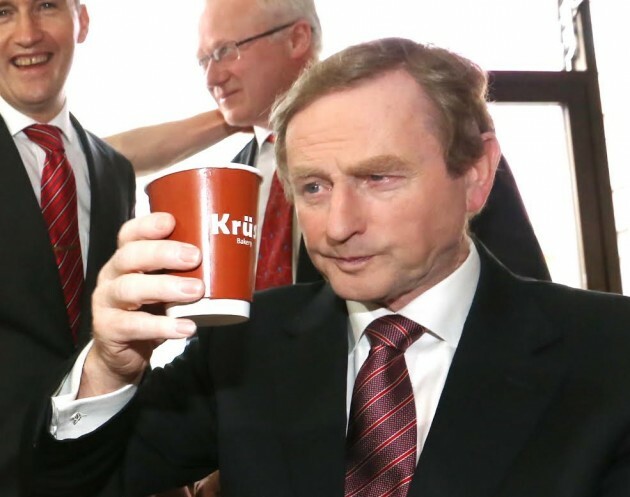 Kenny is not being straight with the Tánaiste. That is hardly surprising as he wasn’t straight with the electorate and has broken every commitment he made after his government was formed. The chaos and crisis that Fine Gael and Labour have brought to this state is reflected in their approach to the north. This Government inherited the peace process and the end of conflict in the north. Since the government came to power progress in the north has not been a priority and their policy is dictated by Fine Gael and Labour opposition to Sinn Féin. The Taoiseach failed to uphold the agreements. He has failed to challenge the British government on their refusal to provide information on Dublin and Monaghan or to develop a strategy to secure this. Agreements have stalled and unpicked. The Taoiseach and Tánaiste have supported the Tory party cuts to welfare and to public services. They supported them because it is their policy in this state. This government is partitionist. Austerity is not. 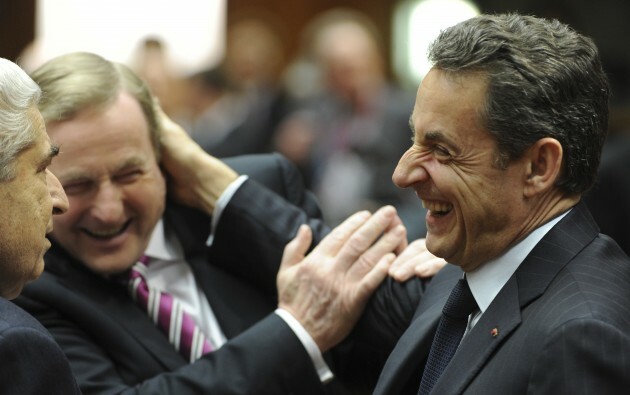 The Taoiseach and Tánaiste need to be on the side of the Good Friday and other Agreements. Progress can be made, but we need the Irish Government to make the north a priority. In this state Michael McGrath of Fianna Fáil was right when he said that the government had adopted Fianna Fáil policy on the economy. What he failed to say was they also adopted Fianna Fáil policy on health and have sustained the chaos in our health services, as well as in housing, emigration and education. Sinn Féin is presenting thoughtful, costed and effective alternative policies to tackle the issues this government has failed to resolve and in many instances has made worse. In the battle of ideas Sinn Féin is proposing policy choices for citizens that are rooted in our republican principles of fairness and equality and inclusiveness and which are drawn from the Proclamation – the mission statement of modern Irish republicanism. In this election republicans should be outlining what kind of society we wish to build and what a real recovery should look like. Tá muintir na tíre seo ag iarraidh díospóireacht ceart faoin pholaitíocht. That is what this conference is really all about. At its core, politics is about choices and the interests that you seek to represent. Fine Gael, Fianna Fáil and, to their shame, the Irish Labour Party, are representing the interests of the privileged few in Irish society. Sinn Féin on the other hand stands with families, with workers and indeed with those who may be better off but who believe Ireland can and should do better as a society. Creideann muid go smior go gcaithfidh an geilleagar freastal ar na daoine agus ní a mhalairt. We believe that citizens are entitled to secure jobs with decent pay and conditions; adequate housing and quality public services. That belief and that vision is what must guide the important task of policy development. The current crises in health and housing are not an accident. They are a direct result of government policy. And let’s not forget that those people lying on trolleys in A&E wards are our own family members, our neighbours our friends. They are not aliens dropped from outer space. So too are those households in mortgage distress. And those citizens who are homeless. Just like the half a million citizens scattered across the globe as a result of Fianna Fáil, Fine Gael and Labour emigration policy. Society has become increasingly polarised and unequal after almost five years of Fine Gael and Labour in government. Sinn Féin wants to change this; to correct this. Sinn Féin believes that an equal society is possible. Creideann Sinn Féin go láidir gur féidir sochaí atá cóir a chrithú. We believe that cronyism and greed can be replaced with fairness and hope. Sinn Fein wants to be in government to improve the quality of life for families. We want to deliver progress on jobs, housing and health. Sinn Féin is not a debating society. We are very, very serious about achieving these objectives. To do that means being in government with a programme for government which advances this agenda. Before we get to that point however, we must have a coherent, realistic and robust policy platform. Fine Gael and Labour are now perpetuating a lie that it is possible to reduce the overall tax take while increasing investment in frontline services. This approach means that high-earners will be the winners while average families and those citizens most dependent on public services will lose out yet again. Sinn Féin’s policy alternative offers a different way. A better way. Ours is a route to a fair recovery. We want to ease the tax burden on workers and families. We would do this by tackling unfair tax reliefs and asking those in the top 5% who earn the most to pay their fair share. With rural communities fearful of rising crime Sinn Féin would recruit over 1000 new Gardaí next year to protect local communities. On Thursday, as we published our alternative budget Our Lady of Lourdes in Drogheda had the largest trolley numbers in its emergency department in the state. This then almost doubled by late evening forcing the hospital to go ‘off-call’ temporarily and stop taking patients. These difficulties and many more are a response to the government’s austerity policies which have seen Garda numbers cut, Garda stations closed and our health service unable to cope with the demands being placed upon it. Sinn Féin proposes to invest in public expenditure prioritising health, education and childcare and delivering more Gardaí, nurses, midwives, and teachers. Sinn Féin will put between €600 and €2,000 back into the pockets of the average worker. This is the type of tax reform that makes a real difference to families and society as opposed to the cynical auction politics of the conservative parties. We would do this by abolishing the family home tax, stopping domestic water charges and removing minimum wage workers out of the USC. To develop the type of fair, just and prosperous society which Sinn Féin advocates, we need a strong economy. We believe that a strong economy, including a thriving enterprise sector, is essential to sustain decent, accessible public services and to protect vulnerable citizens. Sinn Féin believes that we must support and encourage entrepreneurs, and in particular to support SMEs. Agus anois tá na polasaithe againn chun seo uilig a chur i gcrích. They include the introduction of a self-employed tax credit, the provision of seed capital and other measures. Sinn Féin’s proposals would increase funding to build social houses, to tackle the homeless crisis, and to make capital investment of €400 million to grow the economy. Our policies and proposals are firmly grounded in the republican principles of fairness and equality. Anois tá sé in am dúinn geilleagar uile-oileánda a thógáil. It makes no sense on a small island to have two currencies, two tax systems and two sets of public services. Sinn Féin wants to see the beginning of a planned approach to economic development across the island. We need to see greater all-Ireland co-operation within public services, greater support for small and medium businesses, and the creation of a Border Economic Development Zone to harmonise trade. The Taoiseach has characterised the forthcoming election as a choice between stability and chaos. But there is no stability for low paid workers or those on zero-hour contracts. There is no stability for those patients and frontline workers facing chaos in our hospital A&E departments. There is no stability for those families facing the prospect of losing their home because the Government refuses to put manners on the banks. This Government’s idea of stability is very different to most citizens. Their notion of stability is the maintenance of a deeply unequal status quo. That is not the stability our people need or want. If the Taoiseach really believes what he says, he should have the courage of his convictions and allow citizens to make the choice. Mr Kenny should stop the game-playing of recent days, resign and call a General Election now. We are confident that our policies will stand up to scrutiny. We are eager for a genuine battle of ideas. Some combination of Fine Gael, Labour and Fianna Fáil has been in government here since the foundation of that State. But the political landscape is changing and Sinn Féin is leading that change. We want to continue that change by leading the next Government. Sinn Féin’s message is finding a deep resonance among citizens the length and breadth of this country. What we need to do now is build that goodwill into an unstoppable momentum for positive change across Ireland. Next year marks the 100th anniversary of the Easter Rising of 1916. This is an important date in the history of our nation and will be marked with pride by people throughout the island and among the Irish diaspora. Sinn Féin is about delivering on the ideals of the 1916 Proclamation. We believe passionately in an agreed, united Ireland, and a real republic – a citizen-centred, rights-based society.